The Howard – Kirk wedding took place on the beach in the beautiful island of Barbados. 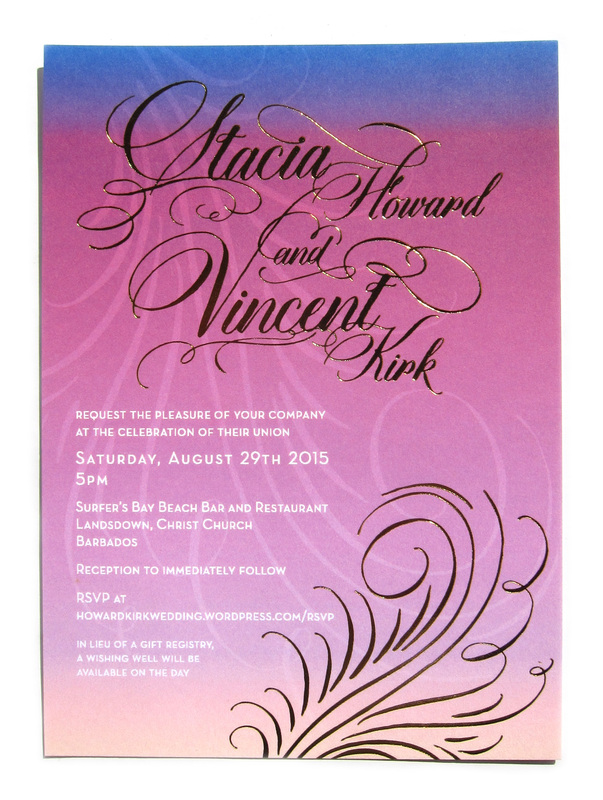 However, both the bride and groom are from the Caribbean, and didn’t want a cliché destination wedding looking invitation package. 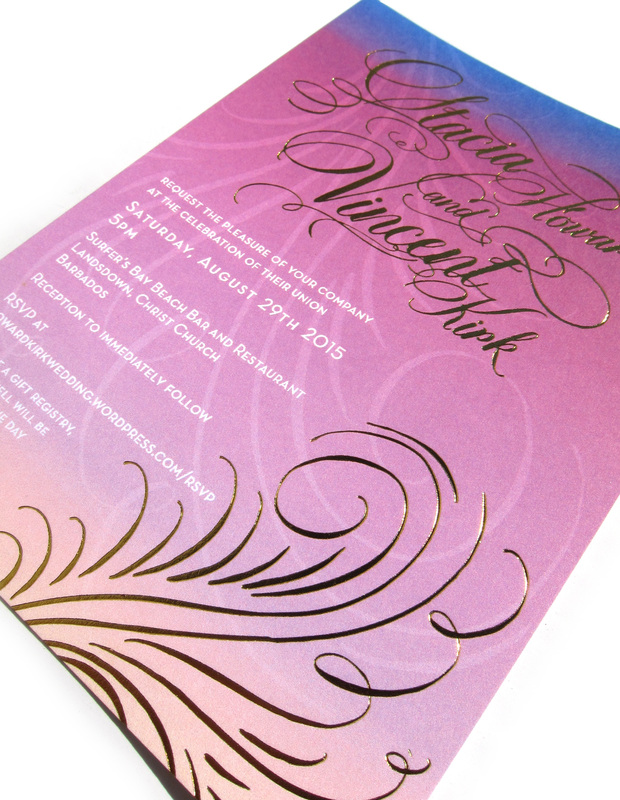 Jewel tones and a party atmosphere were two key themes for this wedding and they wanted that reflected on all collateral. A sunset on the beach was the inspiration for the look. The colors printed on an uncoated stock wash into each other like watercolors, complete with a golden reflection from the gold foil imprinted onto the surface. 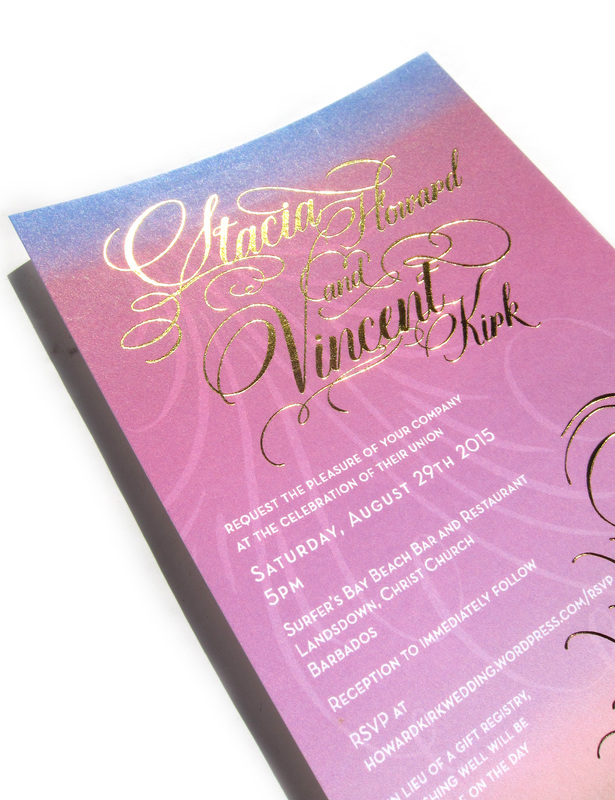 The type was whimsical, yet sophisticated like the couple’s personalities. The flourishes, inspired by ocean waves, border on wedding invite and lounge flyer to reflect the atmosphere of the evening.